What Is the Google Medic Update and How Can It Be Used? 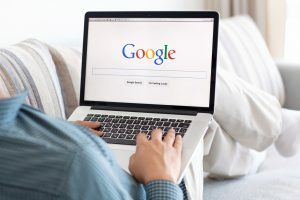 Google seems to be on a perpetual mission to improve its search algorithms and operations in order to benefit online companies, web sites, and business owners. Recently, Google decided to rollout an entirely new update, the purpose of which still has some SEO experts scratching their heads in confusion. The Google Medic Update, as it’s been cleverly dubbed by Search Engine Land’s Barry Schwartz, is one such modernization. Unfortunately, the jury’s still out on how beneficial this update will be to the majority of online businesses and in terms of driving web traffic, but the preliminary data has shown that some web sites are already starting to reap the rewards. Keep reading to learn more. What Is the Google Medic Update? Currently, there isn’t a whole lot of information available about this update and as a result, it’s left a lot of SEO experts confounded in terms of what its purpose and end goal is. The only piece of information Google has left web developers and SEO experts with is that there’s nothing inherently wrong with the web sites that have been negatively impacted by this update and that there’s nothing anyone can do to help improve their rankings. Supposedly, the rankings are expected to eventually balance themselves out as long as relevant keywords, phrases, and marketing tactics continue to be implemented. According to Google, this is a core update, which means it can both positively or negatively impact web sites globally in pretty much any language. Many commercial web sites have seen an uptick in their rankings, whereas others have seen an inexplicable decline. All anyone knows for sure is that the web sites with the highest level of negative impact seem to be those that offer medical advice, information, and insights. Other sites that may have experienced a drop in ratings include e-commerce and large company web sites such as Forever 21 and others like it. The one thing Google recommends is that the web sites that suffered losses in traffic and conversions to keep publishing high-quality content and eventually their rankings might improve or go back to what they were organically. Some SEO experts speculate that one of the main reasons for this update is to inspire web designers and content creators to produce higher quality content and constantly improve their optimization practices. Another theory is that Google wants to improve its search engine’s ability to identify the correct intent of a specific search rather than the semantics used. For instance, if someone is looking for a certain product, Google might produce suggested posts showing how to build said item or where to buy it. Purportedly, the purpose of this new update is to hone in more accurately on what the user’s intent is with certain searches. What Are the Risks and Impact on E-A-T and YMYL Sites? E-A-T stands for Expertise, Authoritativeness, and Trustworthiness. These are the basic standards that Google uses to rate certain web sites and their relevance in association with specific search queries. YMYL (Your Money Your Life) are centered on financial transactions that are related to life events. These web sites typically collect personal information and banking information, while also offering medical, mental health, and personal advice to visitors. Basically, it seems like Google is thoroughly evaluating the authenticity and authority of these web sites to make sure that they’re qualified to be offering the types of advice they promise. Alternatively, the e-commerce sites are most likely under close investigation to make sure that their servers are secure and their operations are legitimate in order to prevent online fraud from occurring. While there is some level of risk involved for these web sites with this new update, as long as they keep producing new and relevant content while updating the existing pages on their web sites, there’s no reason why they should suffer any major losses or declines in rankings. As far as Google algorithms go, this one is pretty beneficial to online users and helps keep companies in line. The importance of regular content optimization can’t be stressed enough, and this should already be a core component of your SEO strategy. Whether you’re adding new blog posts to your web site or updating existing service pages, there’s always more you can do to ensure your content is at the forefront of your industry and ranking better on search engine results pages. Incorporate relevant keywords, phrases, and topics into your content by studying online trends pertaining to your industry. Most online searches are conducted on-the-go from the comfort and convenience of mobile devices. That means if your web site isn’t mobile-friendly yet, then you’re already behind in the game of online marketing. It’s estimated that in the coming years, desktop searches will become obsolete and they’re already on their way to reaching that fate. Another important factor that could be holding you back is the loading speed of your web site. If it takes longer than three seconds for your web site to load, you might as well just direct your customers directly to your competitors because that’s exactly where they’ll end up. Test your web site loading speed consistently and make sure it’s less than three seconds. The faster the better! 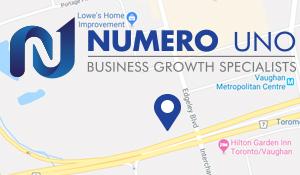 Numero Uno Web Solutions is always on top of the latest Google updates and we can optimize your web site to make sure you’re always putting your best foot forward and are fully prepared for any spontaneous search engine changes. Building up a strong online presence for our wide assortment of clientele throughout North America is what we do best. If you’re web site has suffered a few losses as a direct result of the Google Medic update, contact us today!